Time to celebrate! 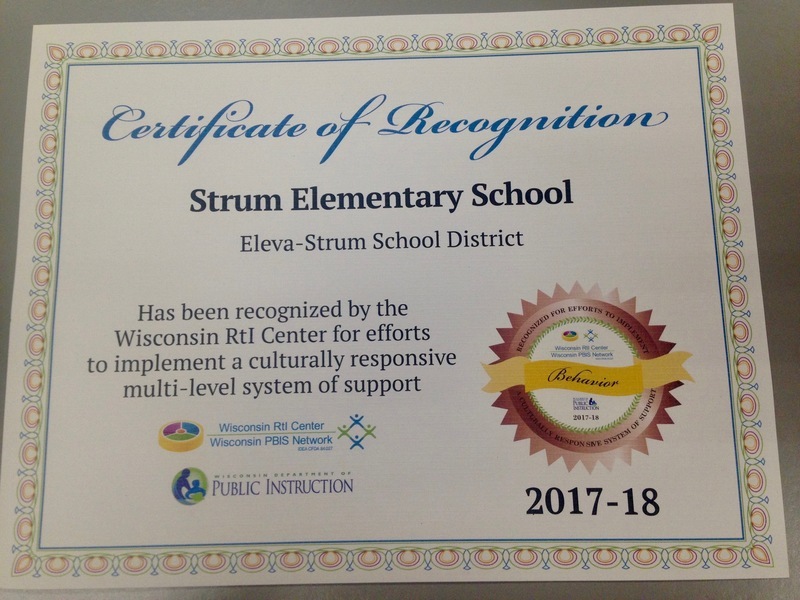 Our schools have recently been recognized for our work implementing an equitable, multi-level system of supports. 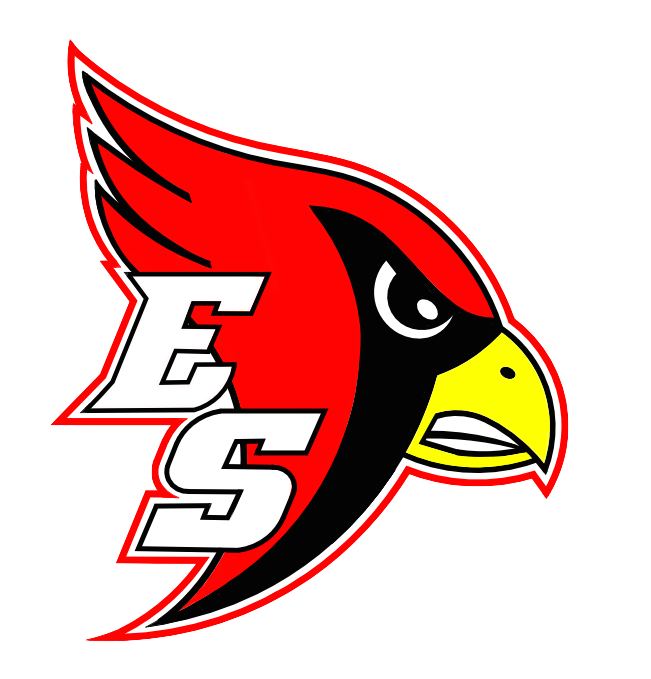 This is a school-wide framework aimed at closing achievement gaps and increasing the number of students who graduate ready for college or a career. National research shows that full implementation of this type of framework leads to improved student outcomes. 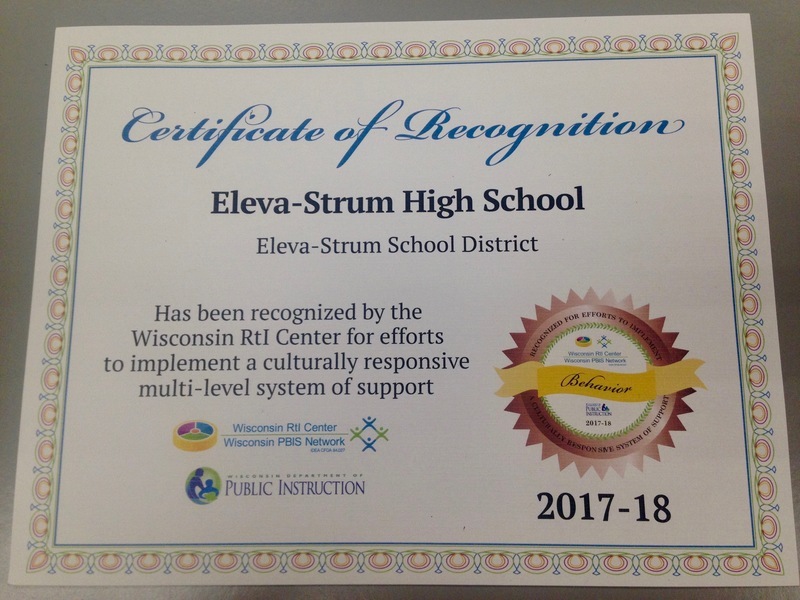 This framework has helped us increase the consistency of effective instruction for all students, build staff knowledge and skills to support all learners, use data to proactively identify and provide support for students, and shift to a culture that supports stronger relationships with students and their families. 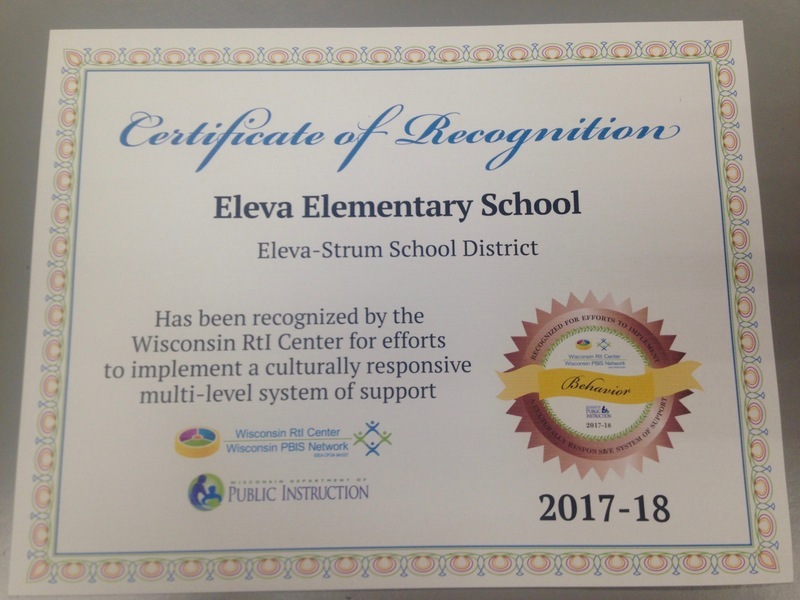 As a result of our work, we are being recognized by the Wisconsin RtI Center in Behaviors at all levels here at the Eleva-Strum School District. These awards help us celebrate our efforts as we progress toward full implementation.